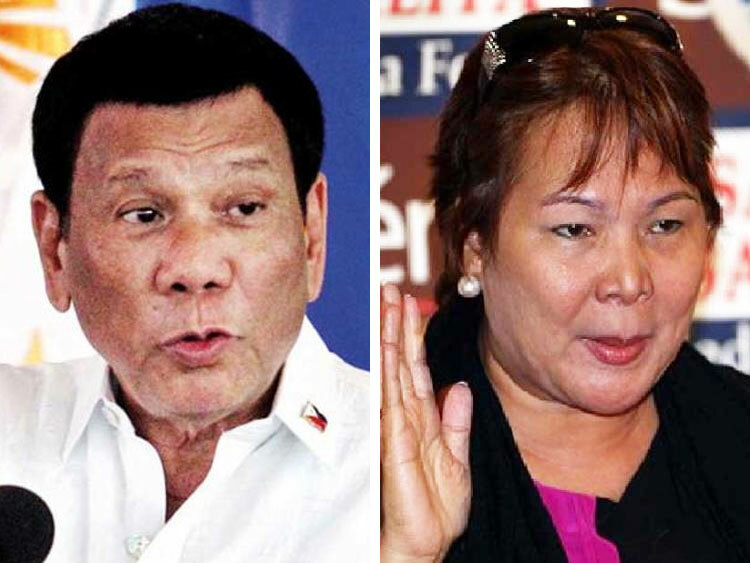 Was Duterte scammed by Sandra Cam? She was a self-confessed bagwoman of an illegal numbers game in the Philippines for years before turning into a "whistleblower" in 2005. She exposed the web of corruption involving small-town lotteries and big-time politicians in the country. Now Sandra Cam, board member of the Philippine Charity Sweepstakes Office (PCSO), is being accused of having undeclared wealth amounting to about Php500 million ($9.5 million, Dh34.8 million). 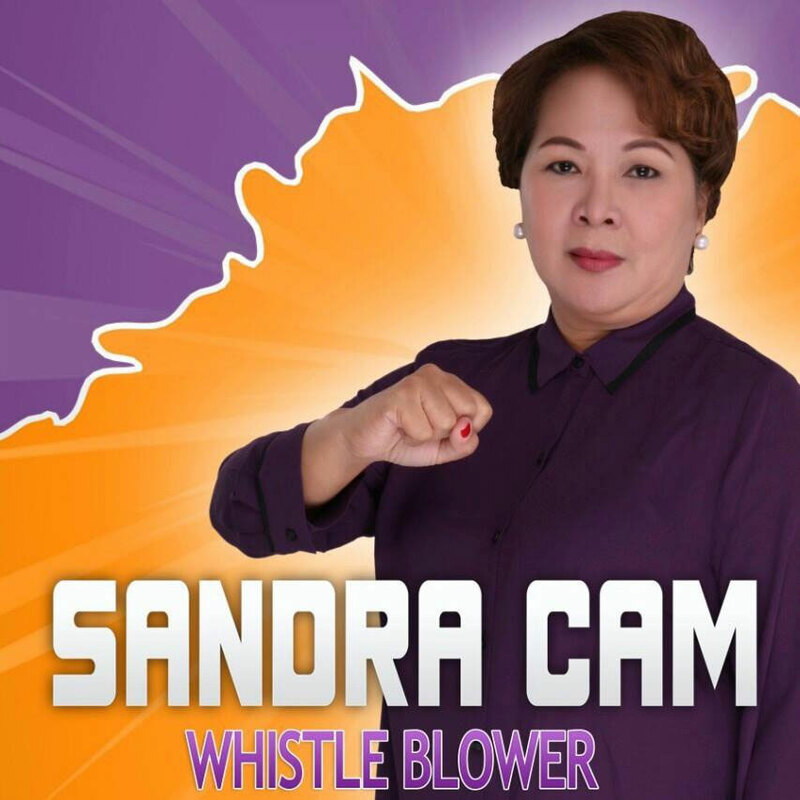 Cam, president of the Whistleblowers Association of the Philippines before she lost a Senate race in 2016, became an overnight media sensation in 2005. The full story of how Cam gained renown over the illegal "jueteng" numbers game is a mystery. Known for her confrontational ways, Cam hogged the limelight by exposing alleged operators of banned lottery across the country. She pinpointed local and national officials, including senators, as supposed coddlers of the prohibited "jueteng" operators hiding under the cover of small-town lottery (STL), a state-sanctioned numbers game that permeates every village in the archipelago of 105 million inhabitants. As a high-profile state witness, Cam was accompanied by armed escorts whenever she attend hearings at the Sandiganbayan, the anti-graft court. 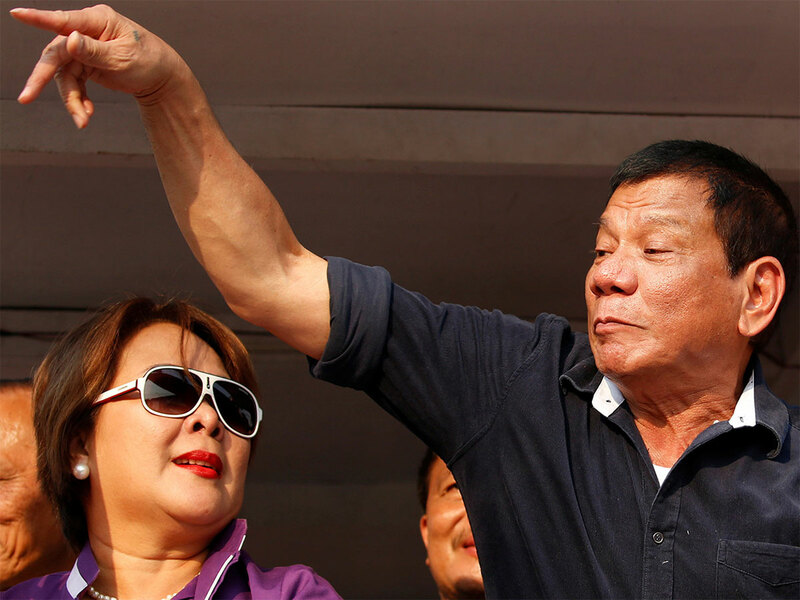 As fate would have it, 12 years after she became a self-styled government informant, Cam was appointed as board member of the PCSO, a money-making agency known as a milking cow for Filipino politicians. A few days after her appointment, Cam said that 70 of the 84 Small STL outlets nationwide are being used as fronts by "gambling lords", politicians among them, who don't pay the right amount of taxes. Moreover, Cam claimed that STL operators were only declaring 20 per cent of profits while 80 per cent goes to the pockets of alleged gambling lords. She identified the top regions or provinces where illegal numbers thrive: Bicol, Bulacan, Pampanga, Nueva Ecija, and Pangasinan. She also accused PCSO officials as "protectors" of illegal gambling operators. PCSO records show that in 2017, STL generated Php15.7-billion in revenues for the government (Php1.3 billion a month), up from an average of Php4.7 billion a year (Php391 million a month) in the previous nine years. How this more-than-three-fold jump revenue happened in a period of one year — and why the previous collections were too low — is currently lost in the Filipino public's mind. PCSO, known for its widespread charity work and buying ambulances for every town, for example, suffers from a massive image problem. It pays "image-building" consultants to burnish its public aura. Now, a private citizen has sought the help of the Ombudsman, an anti-graft body, to probe into the alleged Php500 million worth of undisclosed properties allegedly belonging to Cam. A certain Lino Espinosa Lim Jr., a resident of Uson, Masbate, in a letter urged the Ombudsman to probe into the Cam's "unexplained wealth", Philippine media reported. 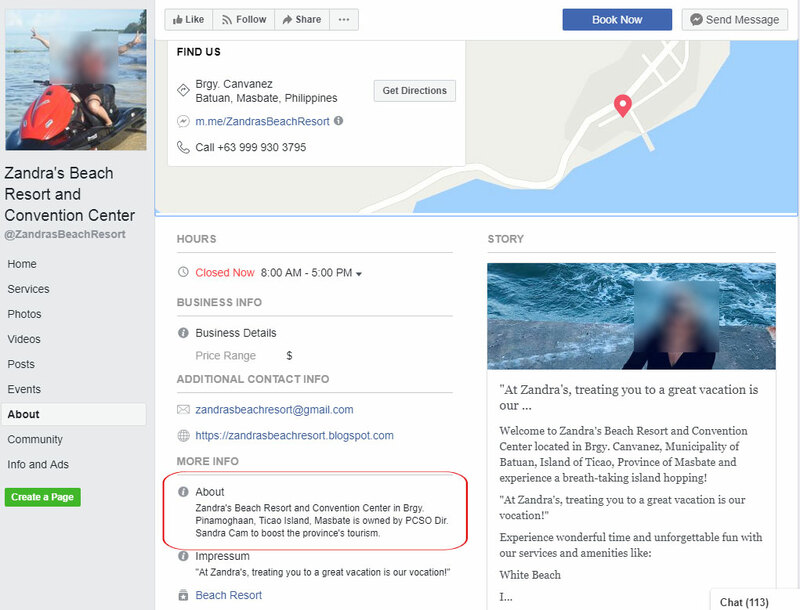 The complaint claims that, among other things, Cam owns a beach resort with a value of approximately P100 million in San Fernando, Masbate. Lim also alleged that, given Cam's known salary, she could not possibly afford such properties. Lim urged the ombudsman to conduct a lifestyle check to know whether Cam purchased the properties through ill-gotten wealth. President Rodrigo Duterte has appointed Cam to the PCSO board in December 2017. What is the Philippine Charity Sweepstakes Office (PCSO)? How does PCSO spend its funds? The PCSO Board of Directors, of which Cam is a member, authorise any disbursements from its ”Charity Fund”, which must then also be approved by the Office of the President. As of December 2017, the agency had Php5 billion in "unutilised operating fund". May 2016 – Cam loses senatorial bid. February 16, 2017 – Cam gives an airport staff an expletives-laden scolding for failing to recognize her and barring her entry to the airport VIP lounge. At that time, Cam claimed she was going to be a member of the Cabinet “in three months. Incident logged by Manila International Airport Authority. December 6, 2017 - President Duterte appoints Sandra Cam member of PCSO board of directors. December 12, 2017 - Only 14 small-town lotto (STL) operations are operating legally, Cam tells Philippine media. January 12, 2018: PCSO Chairman Jose Jorge Corpuz resigns "due to health reasons", according to the Presidential Communications Operations Office (PCOO). February 8, 2018: Cam exposes PCSO's multi-million-peso Christmas party in 2017, during which the agency spent Php10 million. PCSO general manager Alexander Balutan says the PCSO board approved P10 million "for purposes of planning" the party, but spent P6.2 million. February 14, 2018: Duterte defends Balutan. Cam reiterates that PCSO's multi-million-peso Christmas party in 2017 was "unacceptable" despite Duterte's stand. October 1, 2018 - Cam claims the government, through the PCSO, is losing up to Php500 million from "delinquent" STL operators being protected by scalawags within the agency. January 24, 2018 - Duterte, in an impromptu speech delivered in Pasay City, admits he sought the help of Charlie "Atong" Ang, a known gambling lord, to help the government "fix" all illegal gambling activities and collect more taxes. 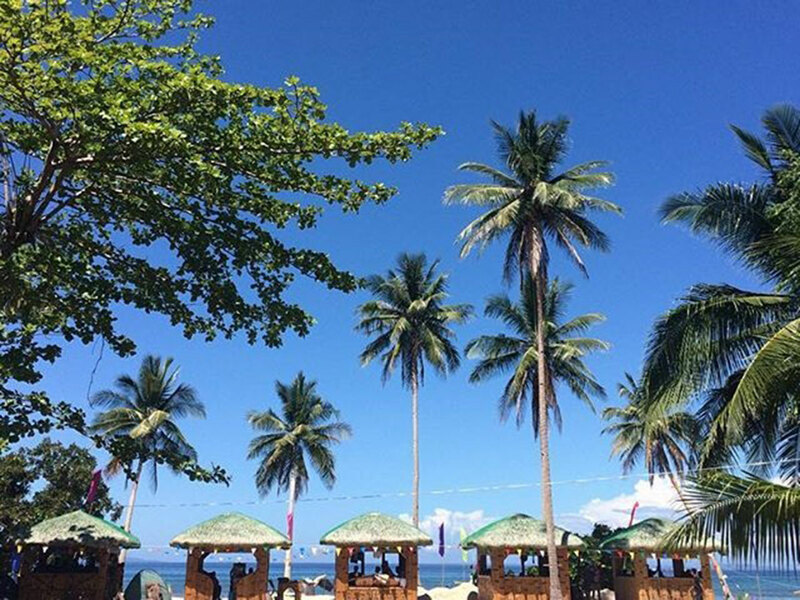 March 2018 - Word war erupts between Cam, and Negros Oriental Rep. Arnolfo Teves after Cam accused the lawmaker of controlling gambling operations in his province. Cam threatens to lodge an ethics complaint against Teves, saying she has affidavits from Negros officials and policemen to back up the complaint. March 8, 2018 - Duterte "fires" PCSO general manager Alexander Balutan "due to serious allegations of corruption". March 11, 2018 - Duterte's spokesman Salvador Panelo admits Balutan, a former Philippine Marines general, had actually "resigned". 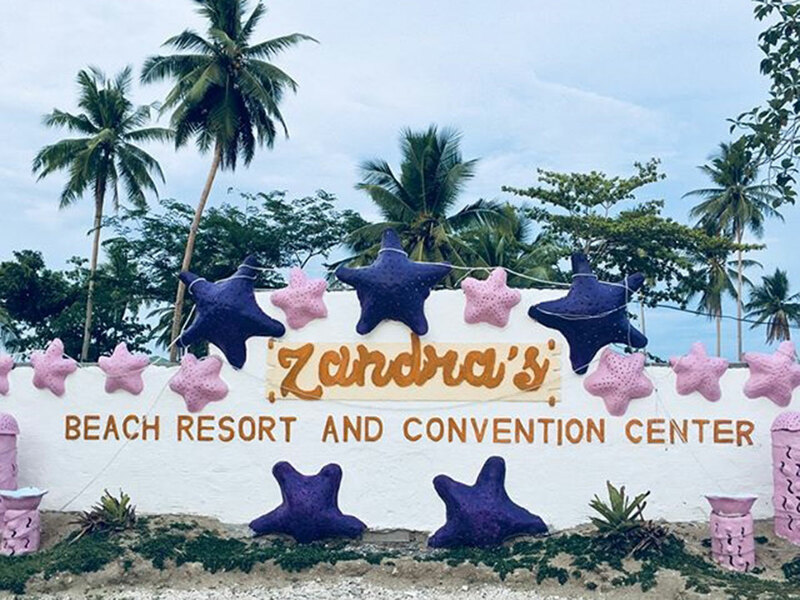 March 22, 2019 - A private citizen has requested the Office of the Ombudsman, an anti-corruption body, to investigate the properties of Sandra Cam, supposedly worth a total of P500 million, which is beyond her regular source of income.